I am a big fan of the Ventev Wireless Chargestand design. It’s a solid build using aluminum and high-quality plastics and has a clean industrial feel to it. Wireless charging isn’t a new technology, but some companies are only just adopting it (cough-cough Apple). So maybe you’re looking for a desktop wireless charging solution. 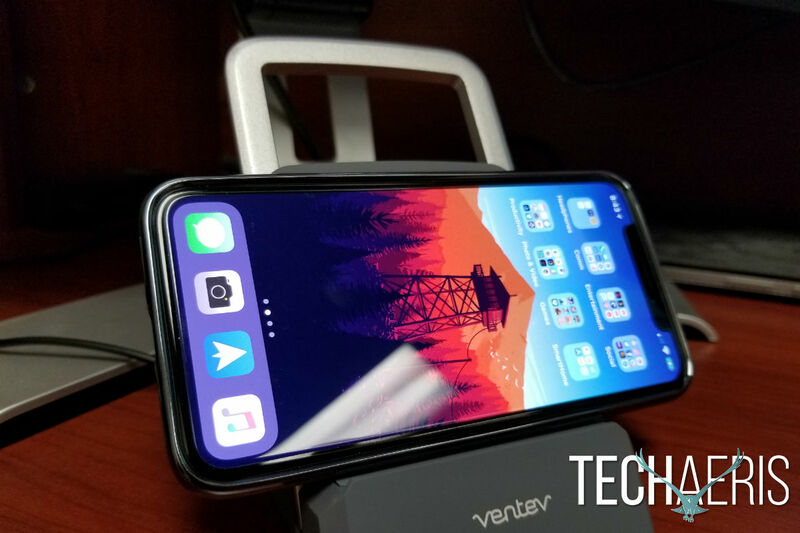 The Ventev Wireless Chargestand is one of the many options on the market. 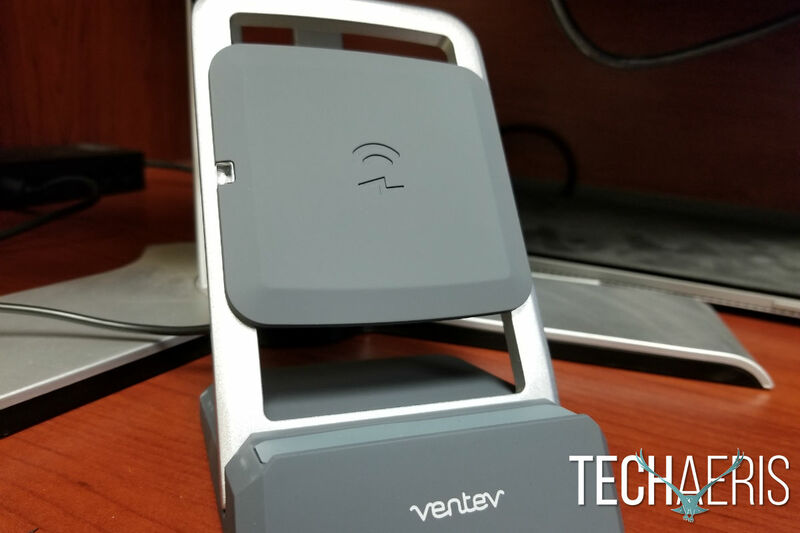 Read on for our full review and see what we think of the Ventev Wireless Chargestand. 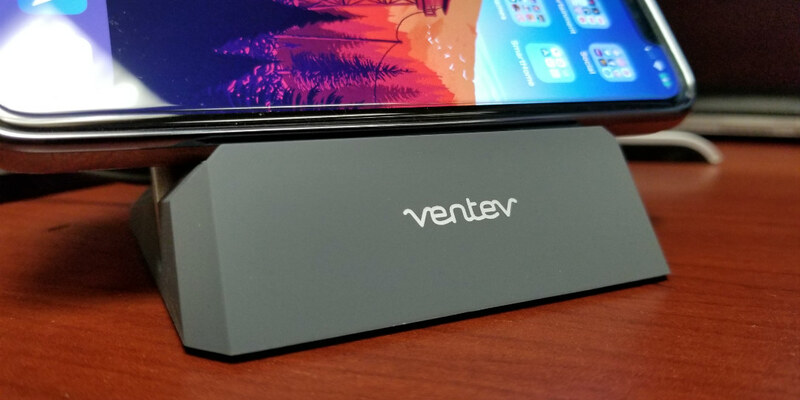 I am a big fan of the Ventev Wireless Chargestand design. It’s a solid build using aluminum and high-quality plastics and has a clean industrial feel to it. It’s a fairly simple design and easy to put together. The aluminum frame easily snaps into place and the charging puck slides snuggly into the frame. It’s nice to have the ability to move the puck up and down on the aluminum frame. This allows you to find the ideal charging spot for your particular device. You can see from the diagram Ventev provided, there are varying ideal locations for charging for each device. You can even take the puck off the aluminum frame altogether and use it as a flat charging puck. Whatever way you use this device, it’s super simple to drop your phone on it and walk away. There’s plenty of versatility with the Ventev Wireless Chargestand. Overall, I think this is a nice and simple design that’s well built and versatile. I tested this with the iPhone X as well as the Samsung Galaxy S8+. In both cases, the Ventev Wireless Chargestand performed exactly as advertised. This does support Fast Charging found on Samsung devices so expect some quick charging times. Overall, the Chargestand performed as expected and as advertised. I had no complaints at all in this department. Move the puck down to use in landscape mode. The Chargestand is going for $59.55USD on Amazon right now. That’s a bit pricier than some other options but I’ve always found Ventev to make solid and quality products. I believe there is a ton of value here but the price may not be for everyone. Move the puck up to charge in portrait. The Ventev Wireless Chargestand is an excellent desktop or even nightstand charging solution. It’s well built with quality materials and performs as advertised. Some may find the price tag a little high but Ventev has always made quality goods. In the end, you’ll have to decide if you’re willing to drop this much on this particular charging stand. 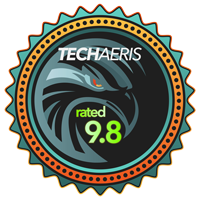 I personally recommend it because I like the quality and design as well as its performance. 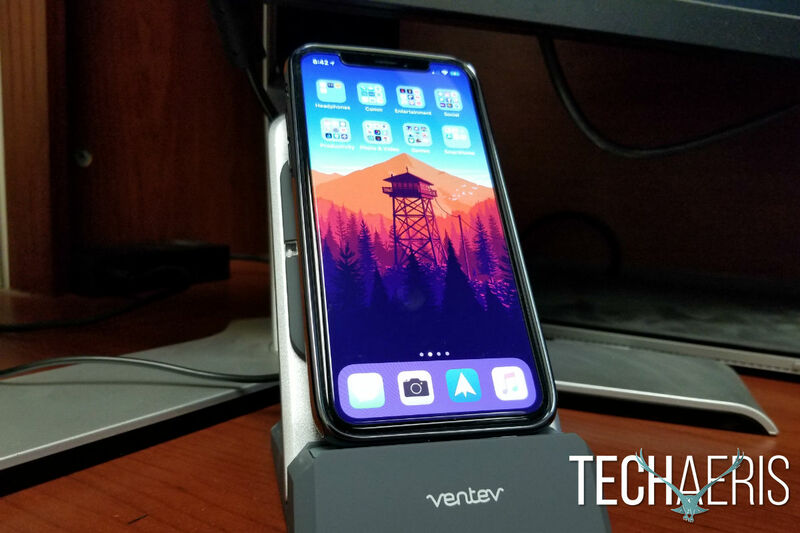 *We received a sample of the Ventev Wireless Chargestand for the purposes of this review.